Bowls England has unveiled plans for its new Coaching Bursary Scheme to assist members of affiliated clubs who wish to obtain a Coach Bowls qualification. 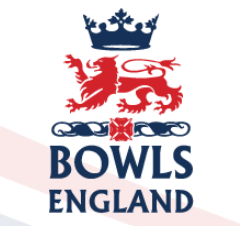 Coach Bowls is the comprehensive coaching system being developed by the Bowls Development Alliance (BDA) on behalf of Bowls England and the English Indoor Bowling Association Ltd (EIBA Ltd) to meet the needs of players and coaches at all levels. It is the only bowls coaching system supported and funded by Bowls England. A total of £15,000 has been set aside in the current year for the bursary scheme, with applicants able to apply to Bowls England for up to 50 per cent of the total cost of any Coach Bowls course. Due to expected demand funding will be limited to one member per affiliated club per year. Applications will be considered on a first come, first served basis. 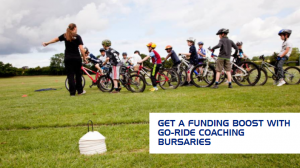 The bursary scheme is open to all Go-Ride Club volunteers and will provide £120 towards the cost of a Level 1 coaching qualification, or £150 towards the cost of a Level 2 coaching qualification. The Level 2 may be substituted for a Level 2 discipline specific award should this be of more benefit to the club (which will be determined on a case by case basis). There are a limited number of bursaries available, so make sure you apply early to avoid disappointment. Go-Ride Clubs can gain a maximum of two Level 1 bursaries and one Level 2 bursary. Young people enlisted on the Cycling Award for Young Volunteers (CAYV) will be given first priority, with club volunteers next in line. To apply for a bursary you will need to complete a bursary application form, stating which coaching course you wish to receive funding for and the benefits both you and the club would receive from this support. Clubs that applied and were successful last year can again apply this year. Please note bursaries need to be applied for upfront and cannot be retrospectively funded. If you have any questions please don't hesitate to contact the Go-Ride team on go-ride@britishcycling.org.uk or by calling 0161 274 2070. EMD UK offer financial support to passionate fitness teachers and instructors hoping to develop their career in the fitness industry. The Open Bursary is available to anyone wanting to take a course or continuing professional development (CPD) through one of their organisation members. You can apply for up to £100 funding towards group exercise short courses and qualifications, or 50% of the cost (whichever is lower). Please note, the training must be provided by one of their member organisations and endorsed by EMD UK, CIMSPA, REPs or another accepted awarding body. Courses endorsed by EMD UK are eligible for up to £100 funding, all other courses are eligible for up to £75. EMD UK teachers and instructors, plus EMD UK course graduates are eligible to receive up to £100 funding for all courses.